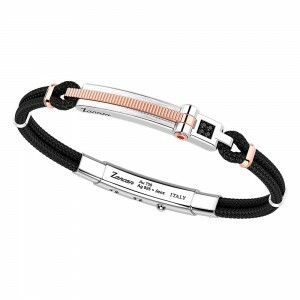 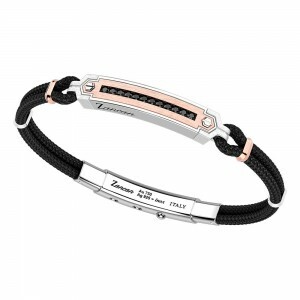 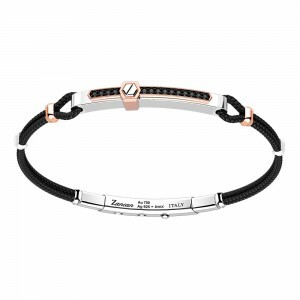 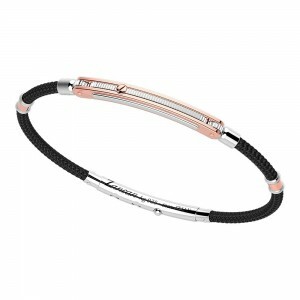 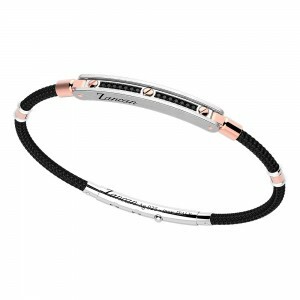 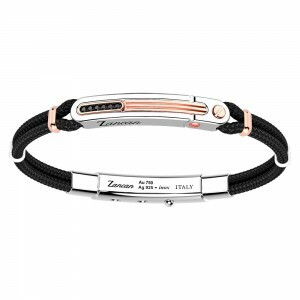 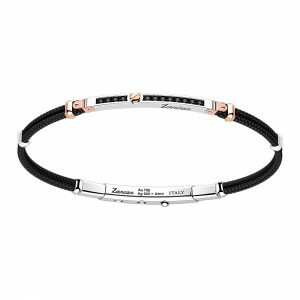 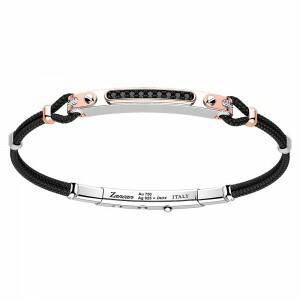 Men's bracelet with central element in 925 silver and rose gold details. 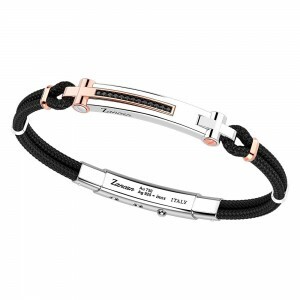 The black kevlar strap is embellished with two silver and gold cylinders. The hypoallergenic steel pressure lock is adjustable in three positions. 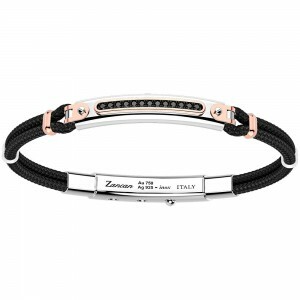 Bright and sporty jewel with clean and defined lines, it perfectly matches your style and is suitable for all occasions.